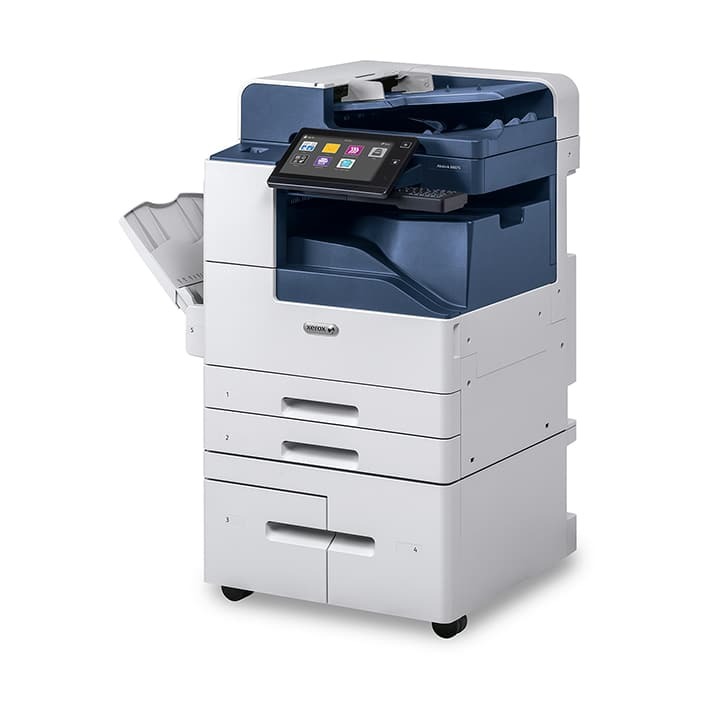 When Xerox designs copiers they have your best business productivity in mind. They come up with intuitive features and tools to help you thrive in your business at any level you are at. With the AltaLink B8045 Series B&W Multifunction Printer, you can print 45 pages per minute. It has the ability to copy, email, print and scan. With the mobile printing you can connect from anywhere in your office and print directly from your phone. This will save you time allowing you to get more work done in your day. There are added security features that help you keep your files safe so you don’t have to worry about anyone getting access to your files that you don’t want. There is an Xerox app gallery on the easily to function touch screen. You can browse the apps and add the ones that will help your business function more smoothly. If you’re ready to purchase the AltaLink B8045 Series B&W Multifunction Printer call us today and we can help you with any questions you may have.